It came to be a truism in the early 2000s that any month in which graphic novel sales were leading the Direct Market was likely to have been a blah month overall. Nothing against graphic novels, which added an important and large new revenue stream; but the dollar volume for periodicals was so much higher that even a small dip in their sales was enough to cause a down month even when graphic novels were booming. Not so this past month. 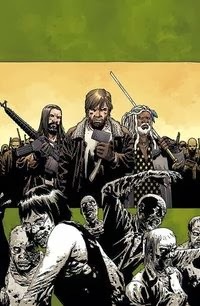 Sales of graphic novels to North American comics retailers were up double digits percentagewise while comics were slightly off in November 2013, according to Comichron's estimates of data released today by Diamond Comic Distributors — but the net effect still kept the Direct Market in positive territory, up 3% over last November. Click to see estimated comics and graphic novel sales for November 2013. What's interesting — and what may be causing the difference this time — is which graphic novels were responsible for making up the difference. It was a big month for Walking Dead Vol. 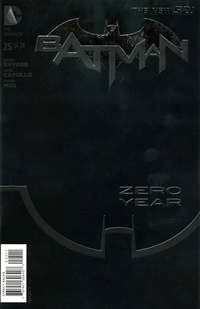 19, with more than 25,000 copies sold — but the Top 300 Graphic Novels were only up 4%, while all of Diamond's graphic novels were up nearly 15%. The reason is strength in the backlist: the 300th best-selling graphic novel last November had orders of 305 copies, whereas this November that same sales level on the charts was good for 386 copies. But while it may sound as though there are some discordant notes to the Direct Market's recent growth symphony, it's worth noting that November is always a difficult month to draw conclusions from. The mix of offerings is unique because of the holidays: Diamond shipped 109 fewer new comic books in November than in five-week October — but shipped 39 more new graphic novels. The problem is that Decembers have been erratic enough historically that this month may not provide much guidance as to future sales — and then we're into the slow quarter as the market takes a breath before its next summer run. Records set: The only record this month is the average weighted cover price of comics, which tied the $3.73 mark set in October. Average prices declined for a time after DC reduced prices to $2.99 in early 2011; those effects appear to be gone, with prices in the general market being back where they were. The average comic book in the Top 300 cost $3.61; the average comic book retailers ordered cost $3.73. The median and most common price for comics offered was $3.99. Click to see comics prices across time. Comichron can now project that overall Direct Market orders for the year are likely to land at the lower end of the range estimated last month: likely between $514-516 million. A double-digit gain for the year would require December to be up nearly 17%; odds instead are that the market will just miss that, coming in up 8-9% for the year.